The median home price in the El Paso real estate market is approximately $143,700. That is a far cry from the national average, which is just over $208,000. What’s more, El Paso real estate is not appreciating nearly as fast as some of the more popular Texas cities like Austin and Dallas. Price growth in the West Texas city was actually named the weakest out of 100 of the most populated metropolitan areas in the United States, according to Housingwire. Prices actually fell 6.6 percent at the end of last year. Compared to the rest of Texas, the El Paso real estate market seems to be an anomaly. Where cities like Houston have seen appreciation rates near 10 percent in the last year, El Paso is essentially stagnant. Even in the last three years, El Paso real estate has only appreciated by a modest 5.2 percent. So while prices have recovered since the worst part of the recession, El Paso seems to be lagging behind the rest of the state. Homes purchased in the El Paso housing market one year ago have appreciated, on average, by $2,192. The national average was $14,170 over the same period. Homes purchased in the El Paso housing market three years ago have appreciated, on average, by $13,935. The national average was $53,857 over the same period. Homes purchased in the El Paso housing market five years ago have appreciated, on average, by $20,777. The national average was $48,036 over the same period. Homes purchased in the El Paso housing market seven years ago have appreciated, on average, by $22,445. The national average was $13,870 over the same period. Homes purchased in the El Paso housing market nine years ago have appreciated, on average, by $40,329. The national average actually decreased $2,822 over the same period. The El Paso real estate market is receiving a good amount of support from the local economy. The job sector, in particular, seems to be doing well for itself. While local unemployment is on par with that of the national average, 1-year job growth is encouraging. At 2.3 percent job growth over the last 12 months out paced the national average by nearly half a percentage point. In other words, local employment growth is strong compared to most other markets. Much like the rest of Texas, El Paso remains more affordable than most markets in the United States. El Paso real estate investing, in particular, benefits from the average amount of money spent on mortgages. Subsequently, El Paso homeowners spend less than 10 percent of their monthly income on mortgage premiums. That is even lower than the historical average for the area. The rest of the country, however, spends about 15 percent of their earnings on monthly mortgage payments. According to RealtyTrac, the El Paso housing market has about 3,123 homes for sale. In comparing the number of homes for sale, and those that have recently sold (3,509), activity is promising. El Paso real estate investing should continue to thrive in the current environment. Those interested in foreclosures should know that numbers are dropping, but still available. There are currently about 757 foreclosures in the El Paso housing market. In one month’s times, distressed properties receiving foreclosure notice dropped 19 percent. Over the course of year, foreclosure filings fell a modest 1 percent. On the current market, foreclosures usually go for about $84,749. That number is down about 6 percent from the beginning of the year. El Paso real estate investors should remain confident in being able to find affordable foreclosure deals. Of all the distressed properties in El Paso’s market, nearly 67 percent of them are going to be placed up for auction. That number is down about 10 percent from the last year and 30.7 percent over the course of a month. Bank-owned foreclosures, which make of the rest, actually increased about 26 percent over the last 12 months. The two most popular neighborhoods included on the list are Bear Ridge and High Ridge, with average listing prices of $329,608 and $423,146 respectively. While the El Paso real estate market is not quite that of its Texas counterparts, there is no denying the ground it has made up since the recession. Perhaps even more importantly, things are heading in the right direction. 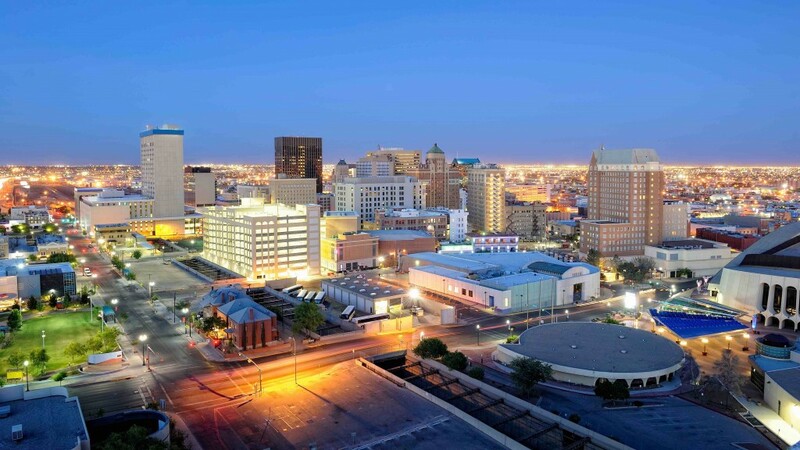 El Paso real estate investing should benefit from a strengthening job sector in the coming year.